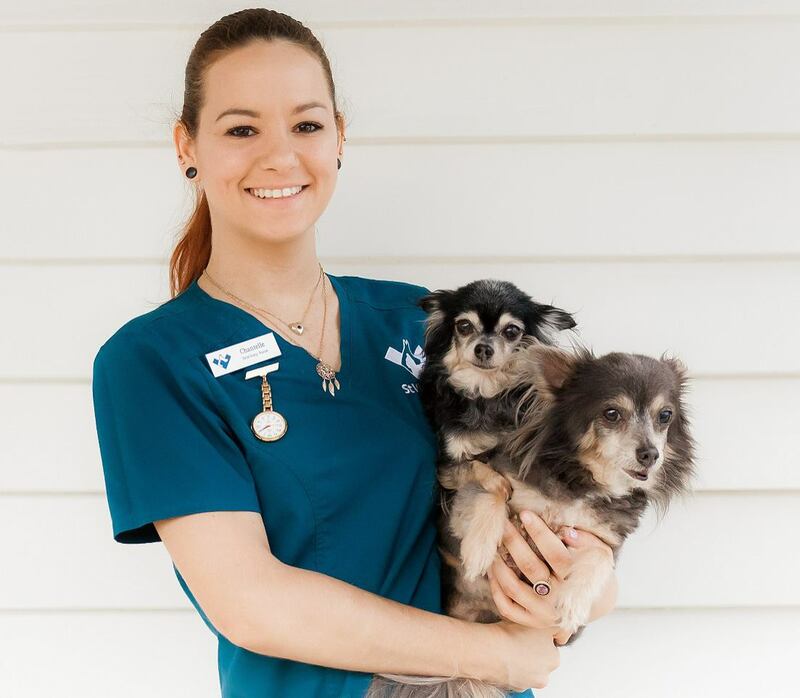 Chantelle is a qualified Veterinary Nurse, holding a certificate 4 in Veterinary Nursing, as well as a certificate 3 in animal behaviour studies, obtained through tafe Queensland. Chantelle loves to learn and is now continuing with further education through Charles Sturt University to gain her Bachelor of Veterinary Technology. She is owned by two spoiled cats, Charlie and Merlin, two 12 year old chihuahaus, Ruby and Meeko, a steer named Boris and fosters cats and dog for various rescues. Chantelles interests lie in surgery and anaesthesia, small breed dogs and their associated diseases, and the geriatric patient. As well as a passion for rescue and animal welfare. In her spare time Chantelle enjoys live music, the violin, painting, fish keeping and being in the sun. © Copyright 2016. St Vincents Vets. All rights reserved.